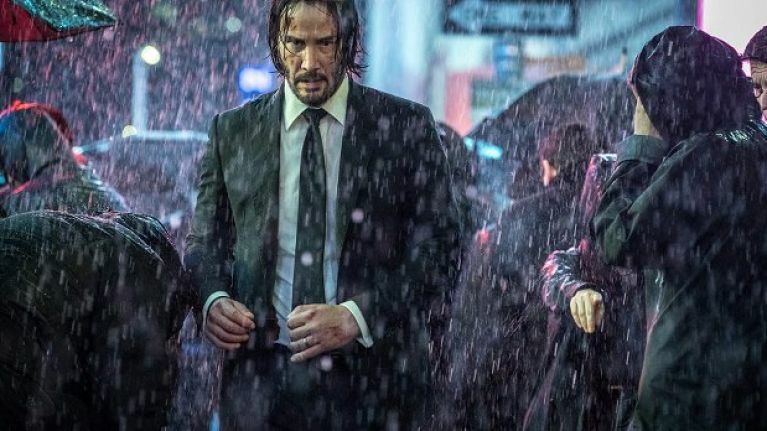 Welcome to #TRAILERCHEST, where we're taking a sneak peak at the trailer for John Wick: Chapter 3 - Parabellum. Plot's it all about? Mythical assassin John Wick is on the run. Following the events of John Wick: Chapter 2, the sharp-suited 'Baba Yaga' himself has brought down the wrath of many vengeful gods, all of whom fancy a $14 million payday. Having violated the sacred 'No Killing' rule of the Continental Hotel when dealing with a bitter rival, Wick must now fight for his life as that huge bounty draws the wolves to his position. Seemingly without allies, the unstoppable hitman teams up with Halle Berry and a pair of dogs, with hopefully nothing bad whatsoever happening to them. We've been through that already. It was tough. The below trailer also sees Wick wield a katana on a motorbike, shatter a dude's throat with an old book and gun down villains via horseback. Oh yeah, we're thinking we're back.